Ad Sales Blog: 2008: the year of selling with ideas! 2008: the year of selling with ideas! A study just released by Next Level SMG gives insight into why marketers will spend on advertising next year. 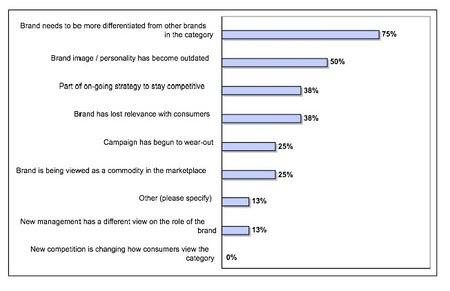 Among marketers, the top reason to budget for advertising in 2008 is "differentiation." Eighty-two marketing executives participated in this survey, and respondents include marketing executives from companies including Kraft, Pepsi, Dannon, Colgate, Cadbury Schweppes, Playtex, Clorox, Nokia and Starwood. Use this on a sales call. A marketer motivated to differentiate product will be highly motivated to differentiate their media buy as well. Pitch ideas that offer unique exposure to your audience. Custom publishing projects or single sponsor newsletters or web sections can deliver unique exposure with no competitors present. If you are calling on a marketing executive present these options as way to differentiate brand/product in competitive markets. If you are calling on a media buyer, print out the study at the link below and show it. Then say, "In 2008 marketers see differentiation as their top priority...is differentiation important for your client?" Assuming a positive response present your ideas a way to differentiate the clients product/brand. I have faced a lot of problems with inaccurate statistics, which led me to some wrong decisions. Wow. What strikes me is what's missing from the list. There is no reference to selling stuff on the list of reasons to budget for advertising. I guess that's because the study surveyed marketers and not business owners. Don't get me wrong. I'm all for branding and differentiation, but this study illustrates the disconnect between 'marketers' and the real world. For some form of 'increasing sales' not to even make the list is really shocking.